On the issue of no insurance that’s a criminal charge and I don’t handle those kind of cases. You need to contact a criminal defense attorney. So you can ultimately recover your medical expenses, related to the wreck, from the other driver’s insurance. My suggestion to you is to go ahead and see a doctor or hospital and use your health insurance to pay for that treatment. Your claim relies heavily on your medical records and if you don’t have formal treatment, it looks like you were not hurting during that time period. 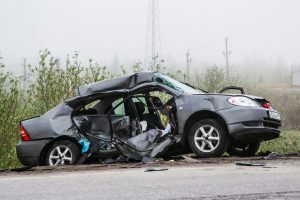 If you decide to make a personal injury claim against the other driver, your health insurance will have a lien against the case and the right to recover what they pay in medical bills from your settlement. However, your health insurance gets you the treatment you need right now and it will reduce the medical expenses,( i.e. the amount that would come out of your settlement for your treatment). If you don’t have health insurance, you can go to a medical provider and see if they take a lien against the case for you to get the treatment you need. But, be aware that you are incurring medical expenses that way and you will owe those charges one way or another.